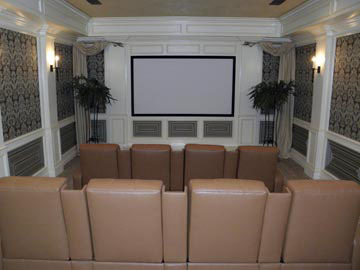 A custom home theater is limited only by your imagination. Outstanding features include special acoustics, large screens, drapery, lighting, carpet, plush seating and easy-to-use control panels. 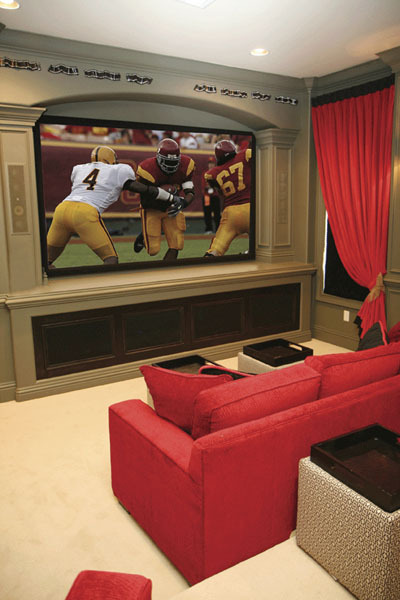 Our innovative home theaters are designed to adapt to any residential or commercial space. We can help you build a theater for a community center, multi-family housing development, as well a new or home remodel project. We will create the perfect environment for enjoying a movie, watching an event or viewing a sporting event. You will feel like you're in your own private commercial theater.